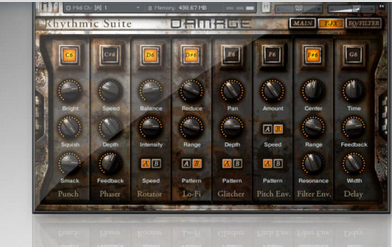 Damage, Virtual percussion from Native Instruments. 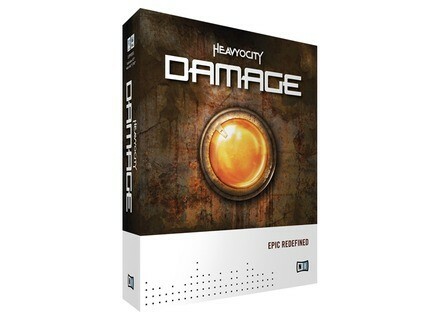 tarrtime's review"My Favorite Drums Library"
Damage is software instrument from Heavyocity that runs inside of Kontakt (or Kontakt Free) from Native Instruments. It is comprised of drum loops and individual drum hits. 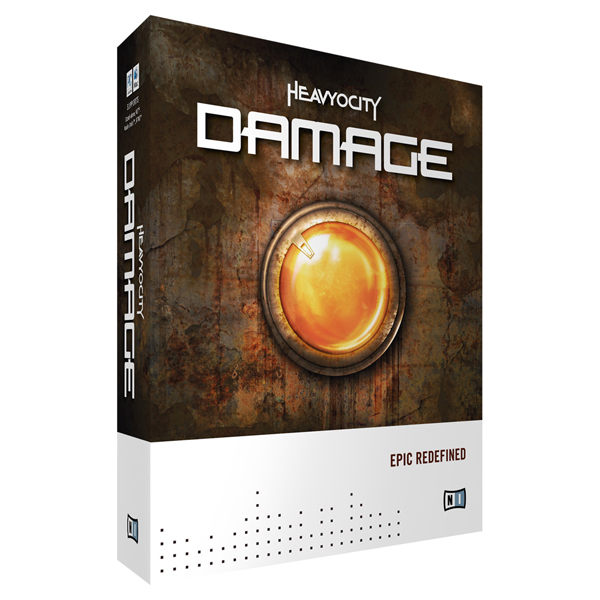 Unlike Heavyocity Evolve, Mutations 1, and Mutations 2, there are no melodic instruments available in Damage. The software is installed directly downloading it from the Heavyocity website or the NI website. Authorization is completed using the NI Service Center. The library is really large, so it takes a while to download depending on your internet connection. You can also purchase DVDs if you don't want to download it. This software is really easy to use, but also has plenty of control and flexibility. The GUI was thoughtfully designed to keep each menu useful without being cluttered. There is plenty of tweakability from eqs/filters/compressors/reverbs/distortions if you want to completely shape the sound. 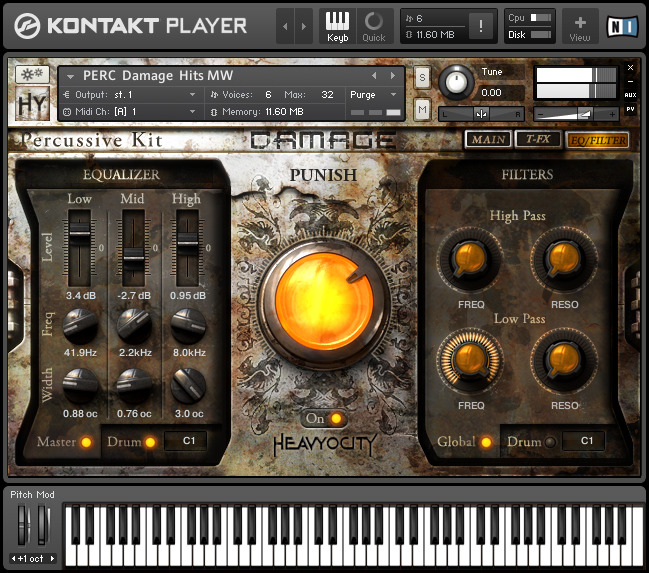 Or you can just dial up the 'Punish' knob to liven up the samples. Trigger/stutter effects have their use, but shouldn't be over used. Another welcomed improvement in Damage compared to Evolve and EM1&2 is the ability to drag and drop the midi of loops into a DAW host. This means that it is really simple to make small adjustments to the loops to make them less repetitive or to customize the loops to fit your song better. Heavocity has produced a masterpiece sample library of cinematic drum sounds. 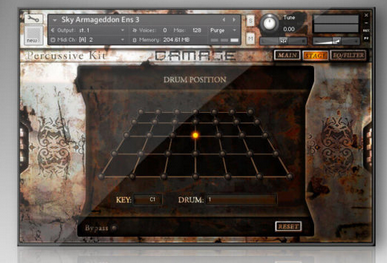 The percussive sounds range from orchestral to ethnic to traditional studio drum sets. The loops are amazing, and come with the added bonus that individual instruments can be triggered separately. Therefore, if you like the kick drum from one loop and the snare from a different loop, then you can put them together easily. I would love to see Heavyocity release a whole library of deeply-sampled drum sets (ala NI Studio Drummer, BFD2, Superior Drummer 2, etc). I love using Damage and Evolve to add some cinematic flavor to my music, but I would like if they did a whole drum library that I could use in place of all my other drum-sampling software. Alternat Runner's review (This content has been automatically translated from French)" great"
Very simple, the desired sound is achieved very quickly. I have not read the manual. A few months now, the sound is just great, excellent for quickly creating good environments. Perfect for sound design. t42krs's review (This content has been automatically translated from French)" trs good sound bank"
Does the facility has a long (three hours) but c is made without problem. Directly recognized in Ableton Live, no need to open the manual. I used the last three weeks, what I like most is the quality of Perus and effects, really a tool cratif c and m inspired in my compositions. C is a little CHRE but frankly any of the banks that I've used c most unusual by far the best and I do it again this choice without problem. D Elsewhere regret that there is no more nor sound.